A fake belly button piercing gives the impression of a beautiful real belly piercing. Wearing fake belly button rings and bars go a long way in achieving the look. Where can you buy the fake jewelry? Is there a way to make some at home? We explore these areas and more including why fake navel piercings are safer than real ones in this post. Over time, belly button piercings have become fashionable and some style to identify with for women of all ages. While this is the case, getting a navel piercing can be painful. It is possible to spot a fake belly button piercing. These create an impression that your navel is pierced when you do not have a piercing. By so doing, the trick of donning a fake belly button piercing keeps protects you from pain and the responsibility of having to continuously care for the piercing. The fake navel piercings can be hoops or clip-ons that are attached to the navel. Some faux jewelry may also require gluing to keep the rings intact. There is a wide range of these to choose from. The fake belly piercing is safer when compared to an actual one as they do not cause infections or wounds. 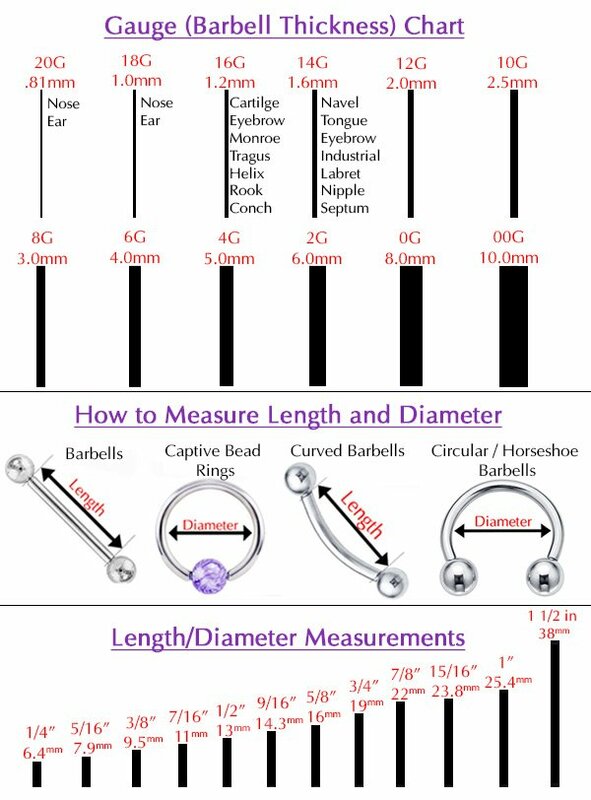 They can be used to check out how a real piercing will look like before deciding to go for one. You can wear a variety of the rings right from when you start donning one as opposed to a real piercing where you have to stick to the initial one until you heal. These rings are easy to put on and easy to remove as they entail applying them on the skin and taking them off in case you no longer want them. The jewelry comes with non-toxic glue to help patch it on the skin. Each ring can be worn more than one if enough caution is taken when removing them. As opposed to real piercings, these fake piercings do not leave any marks. You therefore have no belly button scars to deal with. You can get FDA certified jewelry making them safe health-wise. The rings have been designed to fit any navel since they come in the same sizes as do real rings. While there are many fake rings available, it is also possible to have a customized fake belly ring. These can be made using simple items such as jewelry wires, beads and glue. Follow the steps given below on how to make a fake belly button ring with these simple items. Get a bead and string it into the wire. To form a dangling part , in your fake piercing, bend this into half. Get some more beads and add them into the wire. The wire should be made long enough so it emerges from your navel. Tie up the already stringed beads. Using some glue, stick the dangling part on the upper part of your inside navel and ensure it is efficiently secured. On the upper part of your navel, glue one bead. This should be around half an inch above. If you prefer no glue you can make use of adhesive stick-ons. For the ring to look like a real piercing and stay put long enough, you have to fix it really well. In case you are wondering how to have a fake navel piercing, the trick is in the jewelry. The fake ring has to give the illusion that you are having a pierced belly button. In case you fail to achieve this with your DIY ring, you may have to settle for clip-ons available in the stores as you learn how to do a fake. Once you have mastered the art of making them at home, you can settle on various forms and designs to show off your fake piercing. It is possible to get simple fake belly button rings. However, depending on the material used, embellishments and design, it is possible for their cost to increase. The simplicity and the costs all make the rings a worthwhile investment as they give you a stunning look without having to stand the pain of a piercing. The variety of rings which come in different colors and designs help you to match them with the occasion and outfit. Below are some options for types available in the market. Magnetic fake rings are a great choice for belly button piercing ring. Clip-ons and hoop rings are also great and stay put on the navel the best. People with outies have a hard time making the fake look real and are thus advised to use stick-ons. These make use of appropriate adhesives to ensure that the rings are carefully positioned to make it look real. Jewelry replacement glues are available in beauty shops. There is a likelihood of the area hurting once the glue is removed. Apply an ointment if this happens. Do not use superglue to stick on the ring. In the various categories, you can get crystals with dangles, flowers, heart or even dragonfly. Other designs include hoops which could be flat, flowered, gunmetal. You could also get belly bars. Also available are captive and reverse belly button rings. This variety helps you spot a ring suited for the type of belly button piercing you long for. In case you want to make your own fake ring, it is possible to do so with some cheap material readily available at Walmart . When choosing these rings, there are things you should consider. First is the quality of the jewelry. To be certain about this you can check online reviews and see what other users have to say about it. Online sites such as eBay and claires offer clients a position to review products purchased. Claire’s fashion jewelry and accessories is a suitable store for young women. You can check out their collection of non-pierced belly rings online before ordering. In case you are looking forward to gifting a close person some fake navel ring you can check what is for sale at Spencer’s . You could also check out fake navel jewelry at hot topic. Most of these sites have stores around the UK and shipping is likely to be free. There is nothing to stop you from beautifying your midriff with these each summer. While purchasing rings that are already made may be economical on time, they may be too expensive. It may also be hard to get a piece customized to fit your fashion needs. Where this is the case, you do not have to buy something you do not love. There are different ways on how to make a fake belly button ring using readily available materials. The procedures are easy and end result will be according to your wants. Get a metallic or plastic bead that is a size enough to fit into your navel. This can be attained by buying some beaded necklace. You could cut off an earring studs back or get a rhinestone stick on. These have adhesive on them and will therefore stick on the skin. You could also use pliers to cut off the back part of a stud ensuring it is flat so you don’t harm yourself. Place the piece above your belly. A stick on piece does not require adhesive but in case you are making your own jewelry you can use body or nail glue to stick the piece on. With these ready, glue the bead into the belly button. This part may not be too visible to people which allows you to get creative with the adhesive. The bead should look like it is attached to the rest of the jewelry. Allow this ring to dry without jostling or moving the individual pieces to ensure that the adhesive sticks dries and sticks on. Where you do not want to make use of glue, it is still possible to piece together a fake belly button ring with an earring and without glue . Other substitutes for the glue could be to make the fake rings with an earring and with toothpaste or with nail vanish. With the right procedure it is possible to make the homemade rings look real. Get the back part of a dangling earing and remove its post by turning and twisting it with a pliers. Sand any irregular parts left. For the ring to be comfortable you have to choose an appropriate size. The width on top should be the same on the bottom. Go to a craft store and buy two industrial grade magnets that is of the same width to fit on the earring. To one end of the earring, glue a magnet and wait for it to dry. Pull out the top part of the navel to thin it and fix the other magnet on the top and have the other part in place. The ring should bend over at the top of the belly button in such a way that the magnets hold each other to place. Fake belly bars are a great option for accessorizing a non-pierced navel. These are designed to sit comfortable on your belly button without you having to undergo the pain of a piercing. When the right choice of a fake bar is made, the jewelry will make the piercing look real. There is a wide range of these bars taking on different designs, shapes, materials and colors. Most of these clip-ons adopt spring technology to ensure that you remain comfortable every time you are wearing them. You can get brand new fake belly bars from walk in shops as well as online through sites such as amazon and ebay . If you decide to make purchases online, you should check out sites with free delivery and if deliver is at a fee, whether the seller can ship to your area. This is more so if you reside outside the country of origin. In case you are outside the UK and have to ship from ebay, be certain that shipping services are available. If you are diligent enough in picking your jewelry, you should be in a position to sport one that looks real without too much trouble.